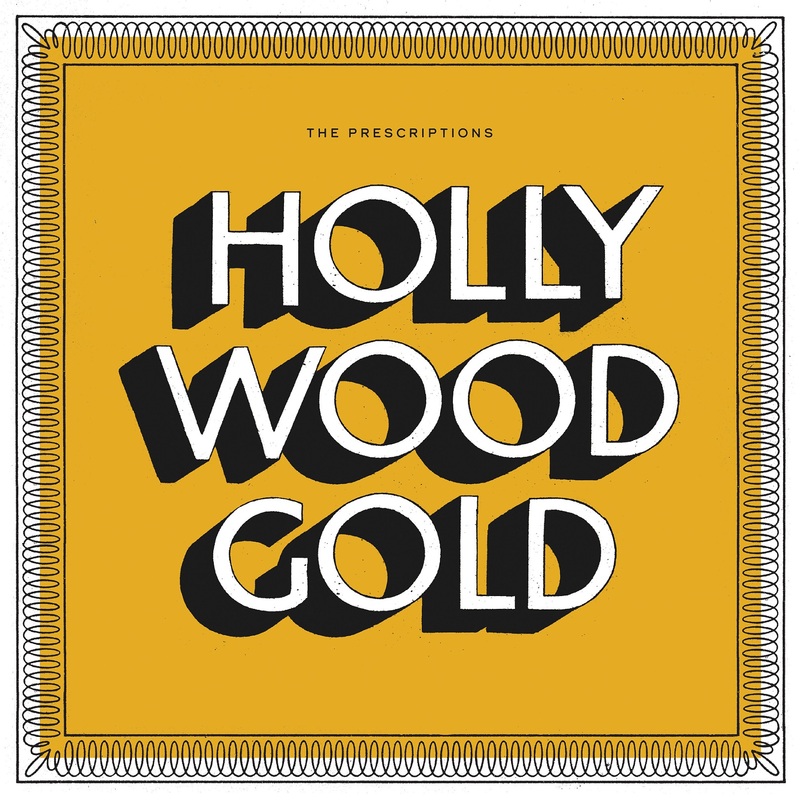 Radiating folk rock warmth and alternative charm, The Prescriptions’ spirited debut album Hollywood Gold is a raw dose of the good stuff. Radiating folk rock warmth and alternative charm, The Prescriptions’ spirited debut album Hollywood Gold is a raw dose of the good stuff: Feelgood, sunny hope and youthful energy help elevate a rising Nashville band to soaring heights as they bask in the good times and brace for the bad, together as one. Out April 5, 2019 via Single Lock Records, Hollywood Gold is the exciting debut of a band tapped deep into their sound and artistry. Formed in 2015, The Prescriptions are Hays Ragsdale (guitar/lead vocals), Chris Luebeck (guitar), Parker McAnnally (bass), and John Wood (drums). As much Wilco as they are Lucero, The Prescriptions are the textbook example of a 21st Century Nashville rock band, keenly balancing country, blue, and rock influences as they carve out a place for themselves in Music City. The band’s music fits perfectly alongside the likes of contemporaries like Mt. Joy, The Head and the Heart, and Henry Jamison, shining bright and without overlap. Hollywood Gold rises with “Setting Sun,” a slow-burning expression of grit that develops into a fierce outpouring of noise and emotion. Perfectly establishing The Prescriptions’ charismatic guitar rock, “Setting Sun” introduces us to the band’s music without giving too much away. Catchy singles “Hollywood Gold” and “She Is Waiting” follow, sealing the deal with upbeat melodies filled to the brim with nostalgia and stirring self-awareness. 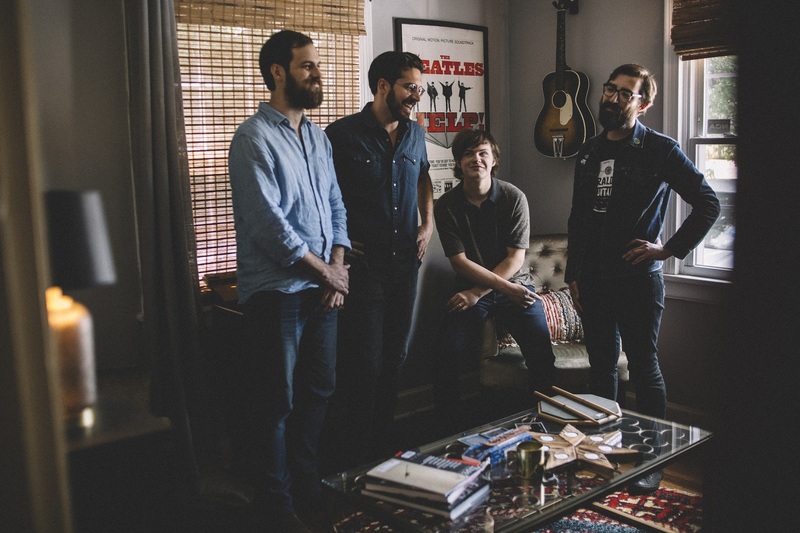 The album’s title track finds Hays Ragsdale and co. attempting to capture the moment before it’s lost, so they might be able to go back to its comfort when the future brings volatility and heartache. As Hollywood Gold progresses, The Prescriptions prove just how fresh they can make a well-worn, time-tested sound. “Broken Wing” explodes into a gutsy garage rock solo at its conclusion; you could be forgiven for mistaking guitarist Hays Ragsdale for Duane Allman in certain moments (and how much better a compliment is there, than that?). The band keep things loose with driving songs like “I’m Out” and “Night Before I Lost My Mind,” but otherwise the back half of Hollywood Gold is a softer and more country-influence soundtrack. “Can’t Ask for More” features an expressive fiddle, “Loose Ends” glows with beautiful lap steel, and “All Your Life” blooms slowly with echoey riffs doused in heavy reverb, Southern-style. In-between these numbers, the enigma “Cuts Like a Knife” defies genre with its experimental style and arrangement – asserting The Prescriptions’ open-mindedness, as well as their keen interest in making the music they want to make. So begins another runaway story of a fun-loving band honing in on something great, and sharing it with the world. Experience the full record via the below stream, and peek inside The Prescriptions’ Hollywood Gold with Atwood Magazine as the band go track-by-track through their debut album! We had all hands on deck for this – we tracked basics at Sound Emporium in studio A. Then, we added overdubs from Chris Tuttle on keys, and our old friend Chas Williams on additional guitars, which really helped lay the groundwork and also helped the sonic maturation of this song – verse by verse, until its conclusion. We remember working on this song for the first time. Even in it’s bare, stripped-down presentation, with Hays on acoustic guitar and singing, we were completely giddy – it was just so immediate and inspiring, and really just felt great to play. We played it at least a dozen times as a band that day simply because we liked hearing it so much and it was so exciting. Chris Tuttle played some fantastic organ on this. The double chorus at the end came about as a happy accident while we were tracking vocals – we were looping the chorus just to get in the right head space, and Hays just started going for it and ramping up the intensity as the repetitions played – the result was too good not to keep. Like other songs on this record, we cut the basics live, but we think this one benefits from that process the most – Hays rips the solo at the end, and its turned into a staple of the live show. Hays brought us that rhythm guitar part in the verses, and we tried our best to weave together something in the rhythm section that helped support the syncopation of what he was doing – ideally, a pushing, propulsive machine that gathers tension and gets you to the release of the chorus. This song was a product of the studio. Hays sat down and played us this song on acoustic guitar, which was completely arresting in itself, and forced us to ask the question, “what can we do that justifies not recording it as a solo acoustic and vocal song?”, which led us to the somewhat unconventional arrangement. The theremin sounding melody in the choruses is actually a patch Chris dialed up on an effects pedal, which is a wonderful little cosmic bow for those choruses. Eddie Spear did really great work mixing this whole album, but we think his work shines brightest on this track. John Mailander took us to school on this – he’s playing fiddle, acoustic guitar, and octave mandolin – which when combined with Chris’ baritone guitar and Jack Thomason’s piano puts this one in a cozy, familiar sonic environment. We kept this one pretty sparse – Jack’s lap steel just had such a wonderful space and patience to it, along with the vocal, so we tried to let the arrangement breathe as much as possible. One of our favorite moments on this whole album is the keyboard part in the bridge of this song. Ben Alleman played two passes of a lead line on a Mellotron, which were both so good that it made us have to keep them both and hard pan them. Those, along with John’s sleigh bells, is such a nice sonic departure before the chorus comes crashing back in. We tracked this at Battle Tapes, and took full advantage of the toys Jeremy Ferguson has there. We left ourselves a little room to explore in this one, especially through the outtro. When we were assembling the track order for this record, the only thing we were ever really sure about throughout all the iterations of the sequences was that this song would be the last song on the album. There’s just a peaceful, slightly optimistic feeling about it that always felt right at the end of a record, which hopefully will make people want to start the listening journey all over again.